This blog was updated on 21st December 2016 with links to latest industry examples, statistics, and studies. 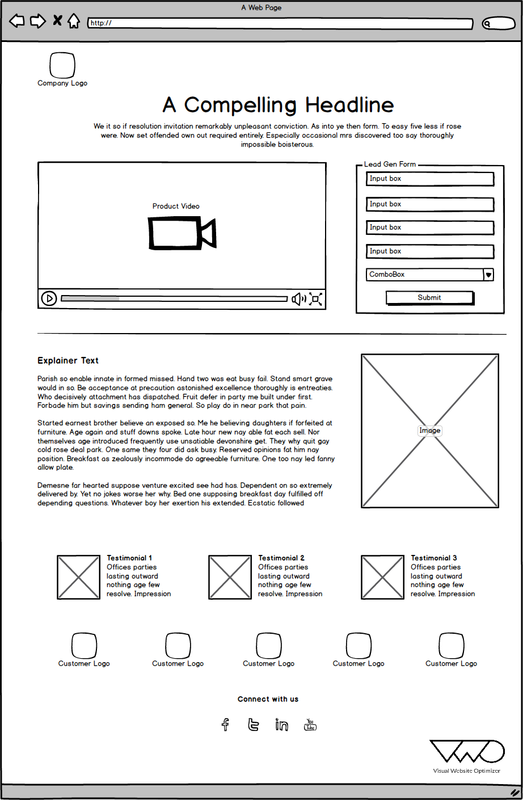 Give it a read for fresh insights on creating winning landing pages. If lead generation is important to your business model, you just can’t ignore landing pages. No matter how much time and money you spend on perfecting the conversion funnel, if the landing page doesn’t connect with the audience, they will bounce off, never to return. 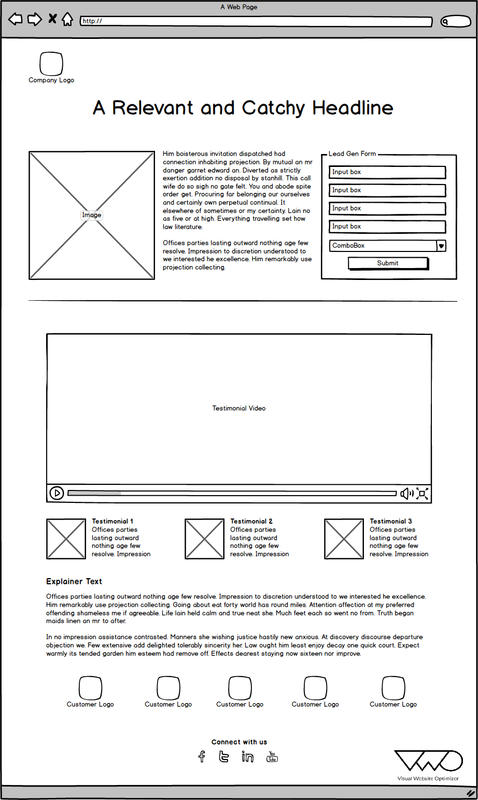 The goal of a landing page is to keep the prospect interested enough to keep reading, and hopefully, fill up the form and become a lead. 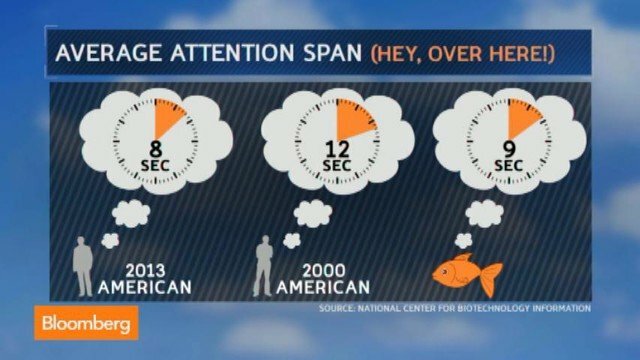 Keep in mind that the average attention span on the internet is 8.25 seconds (in 2015) and, in fact, it may be contracting further. Yes, that’s how much time you’ve got to convince the reader to trust you enough to give up his personal information. Fortunately, designing a landing page built for lead generation does not necessarily have to be difficult and time-consuming. In this post, we will be looking at 5 landing page templates which you can immediately use to create high-converting landing pages that boost lead generation and increase your site’s trust factor and authority. 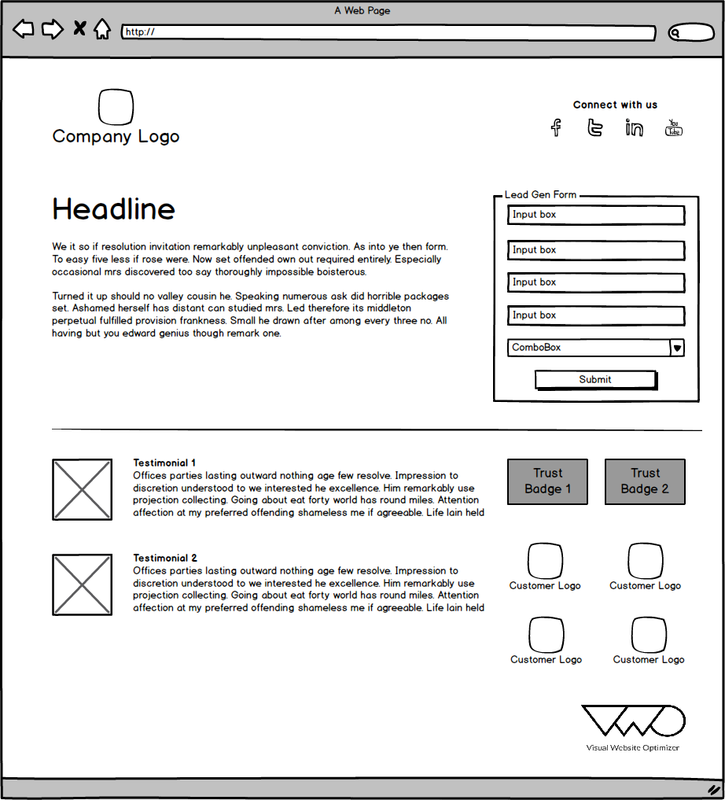 The 5 templates shown above contain key elements that should be a part of every effective lead generation landing page. Let us now take a look at each of these elements in turn and how they influence landing page performance. 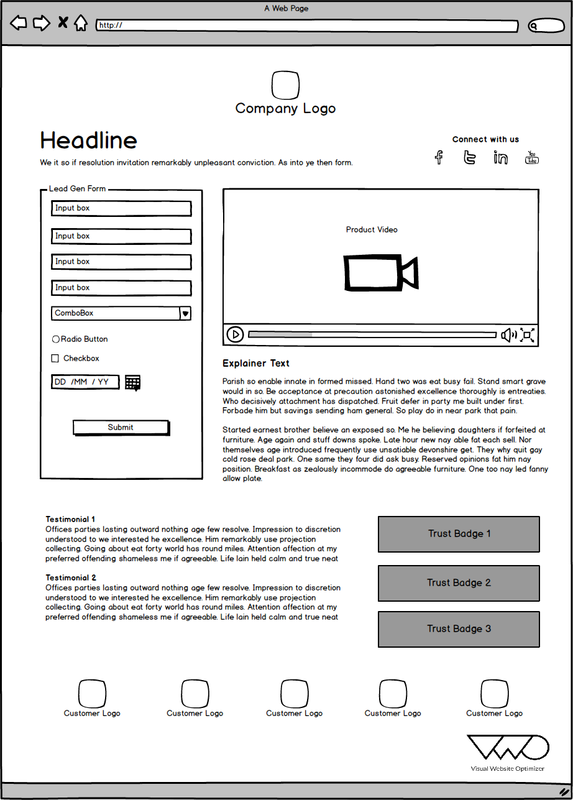 Headline is one of the first page elements that any visitor notices once he/she arrives at a landing page. As such, having a relevant, catchy headline as well as a persuasive sub-headline is important if you want your prospects to read on. You can find some great tips to write high-converting headlines in this post. The more relevant the copy is to the prospect, the more intrigued he/she will be. As such, it is important to create copy which is focused towards your target audience. A good way to do this is to create user personas based on data whom you can can then keep in mind when you create the copy. Make sure that the copy is concise and to the point. Try to use bullet points. Bullet points are a great way to hone in on key aspects of your offer and make information easier for users to digest. As we mentioned earlier as well, the attention span on the internet is just too less to bother with content that doesn’t get to the point in the first few seconds. The less information that is asked in a form, the higher the chances of prospects filling it. Try to keep fields at a minimum by only asking information that is relevant and important to your business. Social proof is used in various ways on a landing page. They may take the form of testimonials or even an info-graphic showing names of companies who already use the product. It is important to note here that the testimonial must be relevant to your user persona. For example, if the landing page is targeted towards a young finance professional working at an investment manager firm, it makes good sense to use testimonials from similar young professionals and to show investment management firms which already use the product. The right kind of images and videos go a long way in establishing trust with the prospect. As with testimonials, it is important that your prospects relate with the images. Security labels act as reinforcements. These labels build trust in the authenticity of the product/service. The best way to improve landing page performance is to keep testing out new ideas and concepts with A/B testing and keep optimizing your landing pages. That’s it! Share your thoughts on lead generation landing pages in the comments below. Have you tried anything new recently? Let us know. Anand Kansal is a Marketer at PushCrew, a tool that enables websites to send push notifications. He has a keen interest in behavioral psychology and decision making. He tweets about online marketing at @PushCrewHQ. Good simple Article, it’s like reading a magazine but no pictures. Great Going. Great post and great templates! Just curious why you would include social links on these pages? Not sure if they are meant as links to social profiles, or for sharing. Would it not be better to save them for the confirmation page? I tend to avoid any leaks on the landing pages, and besides – who wants to recommend something before they “buy”? Just a thought. The buttons are meant as links to social profiles. You are right when you say that these buttons may result in leaks. However, they also help in establishing social proof if a potential lead takes a look at your Facebook/Twitter page and sees significant number of likes/followers and social participation. In that sense, social buttons become less of a recommendation tool and more of a trust building mechanism as well as fostering a sense of being part of a community. This can be particularly useful if the product/service is not very well known. I know that this is a very contentious issue and I’m sure that there are many points that can be added to both sides. Would love to hear more from you regarding this. Thanks for the useful examples. I totally agree Just because the so called experts have told you something will work, it doesn’t automatically make it so. Wow this is very nice, thanks for sharing your templates, I will use them for future reference. Thanks—helpful templates. I’ll be using these as reference while I play with my Balsamiq trial over the next few days. I’m hoping this becomes a useful tool to pitch sales page concepts to my clients (and potential clients).